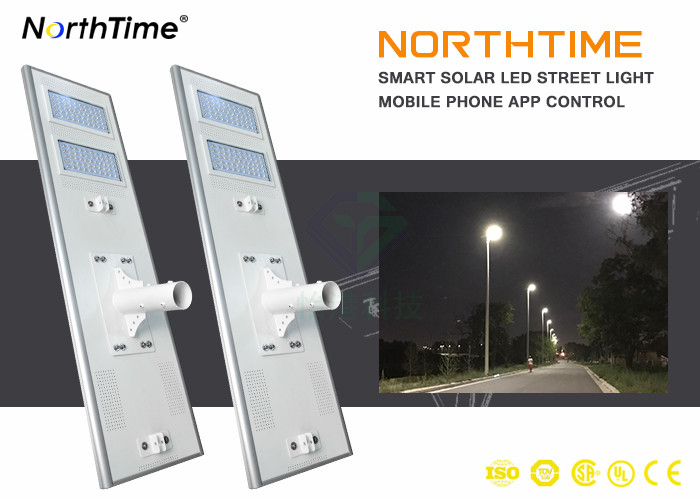 Our integrated solar street light which integrates the green-energy parts solar panel, LED lamp and the lithium battery into the product, is with human intelligence induction system to gain the solution of low-energy, long-time, high-luminance and free maintenance. And the same time, it's convenient in the shipment and installation. 10. 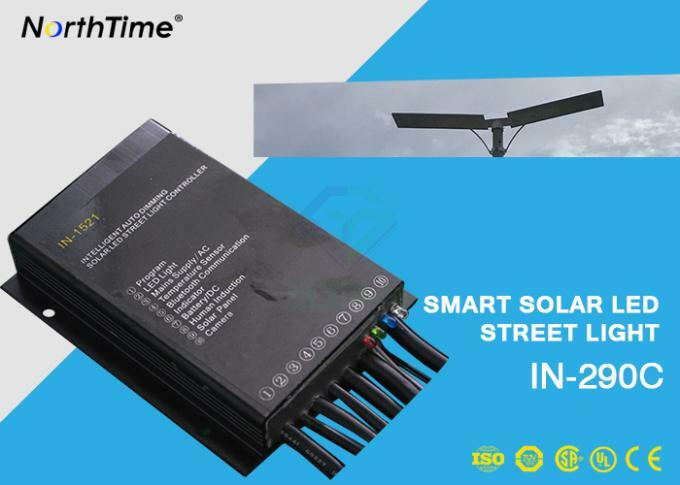 No wiring, 100% solar powered ,easy to install and ship. 3. Solar panel uses Germany brand Solarworld efficiency mono silicon, its efficiency can reach 22%. 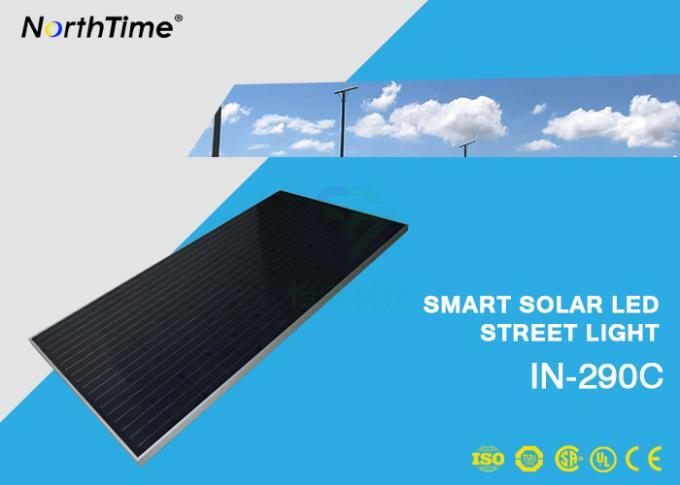 The market average conversion efficiency is 17%, polycrystalline silicon only have 13% , and some false cell efficiency less than 13%, compared to our cells are used are top quality, its lifespan is 25 years. 8. Using aluminum alloy material as the main body structure has good anti-rust and anti-corrosion functions. 2) Time control: lighting time and light off time program can be set per your request. The brightness also can be customized according to your requirements. 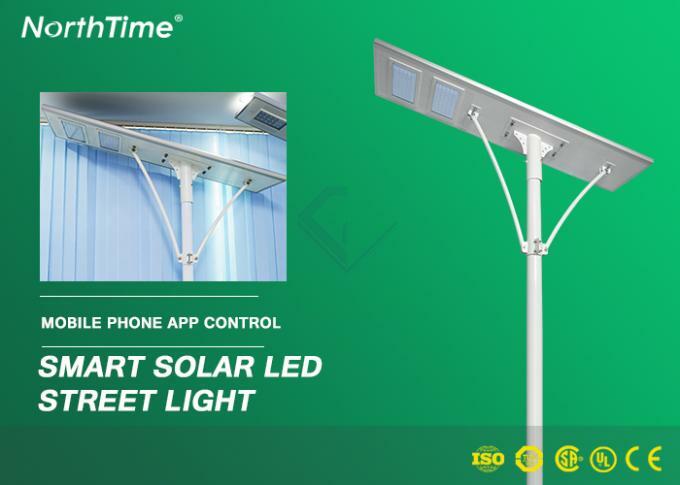 3) Mobile phone APP control : download our APP software in your mobile phone, then you can connect to the lights through bluetooth module and control the lights by your mobile phone APP. 4) PIR Motion sensor control: when any people pass by, the sensor will detect the human body and the lamp will turn on and delay 20-30 seconds. When people left, the lamp will turn to dim light again. (3) We offer OEM services. Can print your own logo on product, can customize the retail box packing and other things. (4) We have very experienced R&D engineers and we have strong ability to do ODM projects.